When your little one is running around while you’re trying to pack for your trip, being able to check items off your toddler travel checklist ensures you have what you need for your trip. 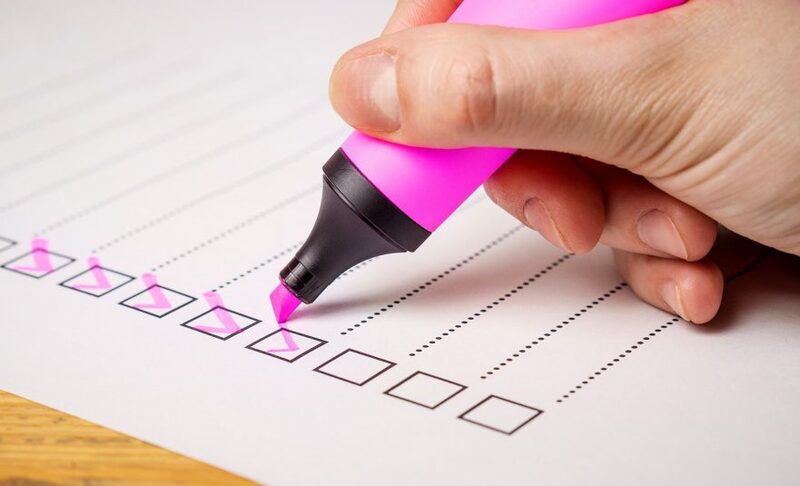 It might seem like a bit more work to have a checklist, but it will save you a ton of stress. See my baby carrier article. I used a rolling carryon suitcase when I had my kid in a baby carrier. When I used a stroller, I turned a large backpack into a diaper bag. Don’t overstuff your carryon as it’ll make rummaging for stuff much harder. If your kid isn’t walking yet, I recommend packing multiple one piece zippered onesies for easy diaper changes on the plane. The footed onesies also eliminated the need to bring socks. We used fleece onesies for cold weather and cotton ones for warm weather (I usually change my kid into shorts and tees at the airport or right before landing). For kids who are walking, pack multiple sets of tops and bottoms. Don’t forget socks! The ideal travel outfit is something comfortable enough to sleep in, lightweight, stretchy enough to carry and run after a child, and still look presentable. Think dark colors and athletic-style clothes. Even better are fabrics that are durable water repellent (DWR). These fabrics repel both dirt and water, so a quick brush off when your baby spills food on you will not leave stains behind.Check out the athleisure clothes when travelling – stylish sneakers, lightweight pants and a sleek jacket with pockets are practical and presentable while doing some airport hiking with a baby on your back. If you are travelling somewhere cold, don’t forget to pack outwear and accessories (hats, gloves) for you and your child. Do a quick tally of many diapers your kid goes through in a day and throw in a couple more for security. If you are in a diaper emergency, be sure to check out the airport nursing rooms. You may luck out and find free or diaper vending machines there. Failing that, airport convenience stores often stock diapers. See more below on using the potty in the airplane lavatory. Pack ones that you’d feel comfortable using on your kid’s hands and face so you don’t have to pack 2 kinds. I like Seventh Generation wipes for diaper changes and general toddler messes. For more tips for changing diapers in public restrooms and diaper changing pads below, see Changing Baby Diaper on Plane. I carry a small first aid kit for my kid wherever I go, even a short trip to the park. Include medications for you and your child, as well as a couple of bandages and disinfectant pads. See what goes into a lightweight first aid kit. A lightweight fleece one is great for keeping your kid warm when they are napping in the stroller or on the plane. If it’s a long haul flight, there’ll also be blankets available on the plane. Those blankets, however, are of questionable cleanliness, so you may choose to bring your own. I used a black pashmina scarf to cover myself when I nursed my infant during the flight. I also draped it over the stroller to block out light while she napped. You’ll need it for wet clothing, soiled diapers, etc. A mix of old favorites and new ones will keep your kid happy and occupied. I usually bring sticker books, a small bag of play dough, and a couple of smallish, new books. Try hitting up the dollar store for a few cheap thrills that you won’t mind losing en route to your destination. Remember, novelty is the key here.If you are crafty, check out homemade busy bags. I’ve only attempted to brush my kid’s teeth in the airport nursing room and restroom. I’ve never tried to do this in the airplane lavatory. I have, however, tossed my toddler a silicone baby toothbrush during a flight and told her to chew on it, in the hopes of dislodging food bits from her teeth. Forget these items at your own peril! Do you need to moisturize when you fly? Is your kid allergic to regular scented hand soap? Be sure to pack little bottles of your essential toiletries in a Ziploc bag. Armrests and airplane trays are pretty germy. If it helps to rest your mind, packing some antibacterial wipes to wipe down the surfaces your kid might come in contact with might be worth it. Bring along an empty sippy cup and refill it at the airport water fountain. Don’t forget a bottle for yourself. There are single-serving formula sachets that offer convenient, no mess preparation. Some airport nursing rooms may also have hot and cold water dispensers for making up bottles. See my article about travel food. An iPad or table loaded with videos and children apps before you leave home (don’t depend on airport WIFI; download these beforehand) are a godsend for the most uncomfortable travel situations. I can’t count the number of times it’s saved me from toddler armageddon. Warning: save the iPad for sticky situations because overuse will render it less effective. You’ll need earphones for your child if you are planning on using a tablet during the flight. For flights that provide seat in-flight entertainment, a flight earphone adaptor will allow you to plug in your personal earphones, which is useful if your kid wants to watch the family programs on the screen. See my article about flying with car seats.